You joined CAP for a reason - to fly, work as a ground team member, work with cadets, become an aerospace education officer, or to take advantage of the many other opportunities in CAP. How do you get there from here? You pick a specialty track. The specialty track selection process allows you to determine the squadron duty assignment you desire and quickly figure out what training you need. You can choose whatever you want to study and change it later if you wish. Civil Air Patrol realizes that most senior members have little time for classroom based training so most instruction is provided at the student's own pace and on the student's initiative. The professional development program instills knowledge through "on-the-job" training in accordance with the appropriate specialty track study guide. Specialty track study guides are pamphlets designed to acquaint the reader with what's expected in the duty assignment. The guides normally have a checklist in the back to mark progression. Most of these study guides have no written examination requirement and use CAP manuals and regulations as their primary study resource. Typically, each study guide directs the member's self-study and on-the-job training (OJT) through the three skill ratings in the specialty: 1. Technician, 2. Senior, 3. Master. The guide will also identify appropriate schools, courses, and suggested readings. Your professional development officer can tell you what jobs are available in the unit, how to request a course, and identify those requiring textbooks and examinations. Performs duties related to processing unit personnel actions such as membership applications, promotions, and charter changes. Establishes and maintains up-to-date personnel files and ensures all regulations, policy letters, and forms required to administer the unit's personnel program are available and up-to date. Develops local unit personnel policies and procedures, provides assistance and guidance to the unit commander and other staff members on all personnel matters, and monitors the overall personnel program within their jurisdiction. Assists the commander on all media relations and internal information matters. Plans, develops, and implements a public affairs program based on media relations, community relations, and internal information activities. Acts as liaison with other organizations and agencies as required in the performance of these activities. Responsible for posting ledgers and preparing vouchers, checks, and deposits for unit accounts. Prepares unit budget, controls monies, monitors transactions, and prepares monthly activity reports. Keeps commander advised in all financial matters. Performs inspections when required. Prepares inspection checklists for all areas of inspection and prepares written reports of inspections as required. Reviews publications, plans, policies, and statistics to determine areas of special interest. Briefs commander and staff on inspections and recommendations. Plans, coordinates, and schedules senior member training activities. Maintains unit training records, training library, and operates audio-visual equipment. Prepares documentation in support of training awards for the commander's review. Coordinates member training accomplishments with other staff members. Instructs at training courses. Advises the commander on training required to meet unit manning needs. Maintains master publications library. Prepares correspondence, reports, schedules, inventories, and requisitions. Operates centralized correspondence and message distribution center. Reviews locally developed publications to ensure they are administratively correct prior to publication. Provides management assistance when required. Responsible for receipt, storage, distribution, recovery, and proper disposal of all CAP property held by the unit. Recommends allocation of motor vehicles and maintains motor vehicle records. Responsible for vehicle maintenance, marking, and painting. Ensures aircraft are painted and identified in accordance with current directives and makes sure aircraft are maintained in an airworthy condition in accordance with FAA requirements. Responsible for the management and control of unit aircrews, aircraft, and flight operations. Understands CAP flight management policies and procedures and the administrative procedures governing flight operations. Assists in the preparation of plans, programs, and directives to govern the unit. Develops operations policies and procedures to ensure mission accomplishment and provide guidance to unit personnel. These activities include developing standing operating procedures, evaluation methods, and accident prevention programs and reporting procedures. Requests transportation and mission authorizations. Performs duties as a CAP instructor pilot and check pilot, responsible for flight and ground instruction as well as flight evaluation in CAP aircraft. Senior: Performs duties as a CAP check pilot, administers check flights, written examinations, and maintains pilot training folders. Master: Wing pilot designated to administer check flights, written examinations, and develop wing training and evaluation procedures. Assists the commander by managing and directing emergency service activities. Establishes working relationships with local agencies responsible for search and rescue, disaster relief, and other local emergencies. Develops emergency service plans, training programs, and standard operating procedures and maintains a rapid alerting system to assemble emergency service resources as needed. Maintains and operates radio equipment. Familiarizes communications trainees with the basic concept of CAP communications operation. Operates CAP radio stations. Develops and implements communications plans, programs, and directives. Plans and conducts communications conferences, meetings, and workshops. Implements aerospace education activities and duties involving cadets, seniors, aerospace education members, communities and schools. Develops materials and activities and promotes aerospace education programs for the local community. Assists the commander in making aerospace education related policy decisions. Conducts cadet training in aerospace education, leadership, physical fitness, moral leadership, and other activities. As special assistant to the commander, implements and monitors programs in cadet personnel and administration, cadet activities, aerospace education, or leadership laboratory. Manages the safety program. Develops safety plans, programs, and directives. Coordinates with other staff agencies to develop accident prevention procedures and collects data to determine safety program effectiveness. Conducts accident investigations. Gets programs started and completed, and keeps the commander informed on the progress of each program. Develops plans and programs to accomplish assigned tasks. Coordinates activities of other staff sections and assigned units in accomplishing goals and objectives set out by the commander. Assigns personnel, establishes suspense dates, and follows up to ensure task completion. The professional fields of law and medicine (219 and 220) do not have study guides. These positions only have a code number. Promotion criteria for these members are outlined in CAPR 35-5, CAP Officer and Noncommissioned Officer Appointments and Promotions. Members of these professions may enter any of the other training tracks using the training guide for those specialties. Provides worship, liturgies, rites, and religious observations. Conducts pastoral counseling, spiritual nurture, and ethics and values instruction. Provides group pastoral care and spiritual renewal. Gives advice on religious, ethical, and quality of life concerns and maintains ecclesiastical and clergy relations. Specialty code 222 is used only to designate personnel in command positions and is not a specialty training track. Responsible for unit historical program. Collects and preserves historically significant material. Publishes general and special histories, monographs, and studies. Publishes material to inform the general public about CAP history. Attends meeting of historical and other learned societies. The Character Development Officer performs in a capacity similar to a chaplain, but is not required to meet the ecclesiastical endorsement and education level prerequisites for a chaplaincy. Talk to your senior program officer and wing chaplain if you are considering this specialty. In order for Civil Air Patrol, or any volunteer organization, to develop and maintain a strong membership base and a well qualified, trained, and experienced force of volunteers, it must rely on the good will and understanding of its prospective, active and inactive members, in addition to the public. The recruiting and retention program includes activities designed to make the Civil Air Patrol missions and activities attractive to the public and Civil Air Patrol's current membership. 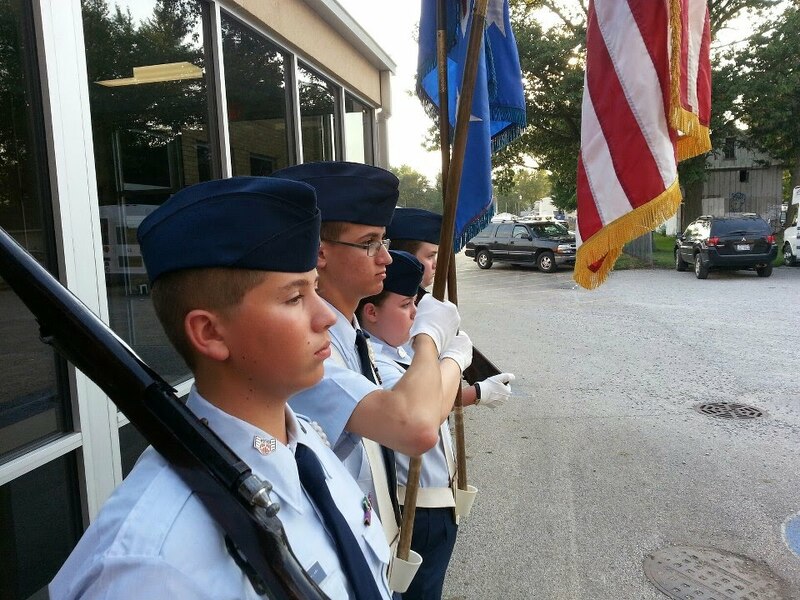 The overall goal is to persuade and ensure that membership in Civil Air Patrol is worthy of the prospective, active, and inactive member's time and commitment. Recruiting and retention could best be described as human resources, salesmanship, and career development counseling. While every member of Civil Air Patrol is charged with the responsibility as a recruiter, appointed recruiting and retention officers carry the additional responsibility of full-time active pursuit of finding and retaining qualified individuals to fill the needs of the unit and the organization. The Information Technology Officer is generally responsible for the configuration and maintenance of computer equipment and related peripherals. The Information Technology Officer may also be called upon to support a Civil Air Patrol presence on the internet that is in accordance with the applicable regulations. The Drug Demand Reduction Officer Specialty Track Study Guide is for individuals to use in progressing from the entry level of technician to the intermediate level of senior and the highest rating of master. The technician level provides the individual with basic information to use in performing duty as a Drug Demand Reduction Officer at the unit level. The senior level prepares the Drug Demand Reduction Officer at the unit level to serve as a functional Drug Demand Reduction Officer and also is an expanded role as an advisor to the wing. Master level qualifies members to advance to the highest level through the provisions of extensive knowledge concerning all phases of the DDR program. A member who has achieved the Master rating might serve as the Drug Demand Reduction Coordinator at the region level, or in any capacity within the Drug Demand Reduction Program throughout CAP. The Organizational Excellence specialty track is meant for those CAP members that truly desire to take their leadership and influence to the next level. Training in the "Organizational Excellence track" is mostly self-paced and intended to take place on-the-job and through self-study. However, in all levels you will be guided by a mentor. This pamphlet guides senior members through that training process and is designed to help them learn to function effectively as Organizational Excellence officers at all organizational levels of Civil Air Patrol. Credit for education, training, time in service, time in grade, performance requirements, and rank, are retroactive.